Jen gave me this hat. I wore it to work and was told I looked like “the villain from an Indiana Jones movie”. But which one? 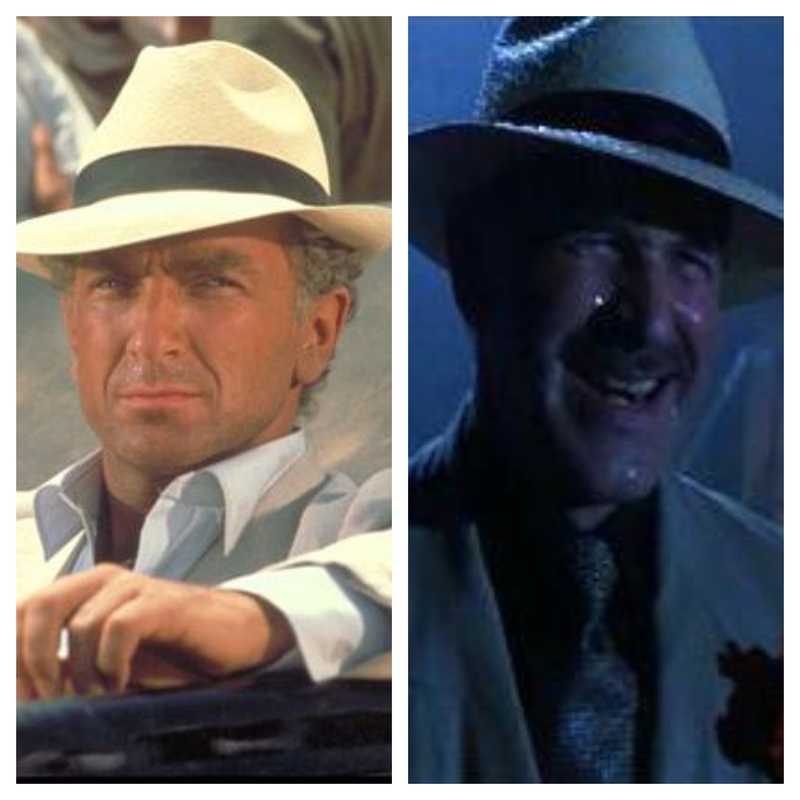 René Belloq from Raiders of the Lost Ark, or Panama Hat from The Last Crusade? 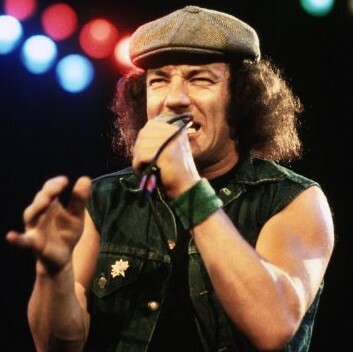 With all the head-banging going on, it’s no surprise that the majority of rockers do not wear hats on stage. The flailing around in musical ecstasy means that hats don’t stay on top for long. Also, with those hot stage lights beating down, nobody needs to preserve their body heat with a hat. 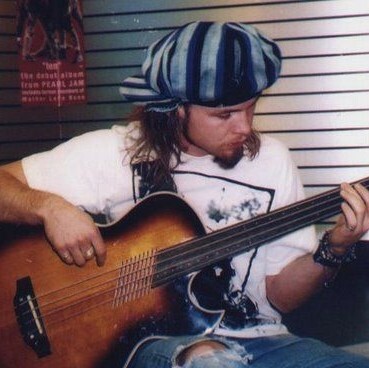 During the Ten period, Pearl Jam bassist Jeff Ament used to sport some cool, huge hats. We have no idea what you call these hats, but there is no denying their 90’s cool-ness. If I had long hair again, I’d want one of these hats. God bless Lemmy, for he had a fine collection of headgear, usually emblazoned with skulls, crossbones, and World War II symbology. 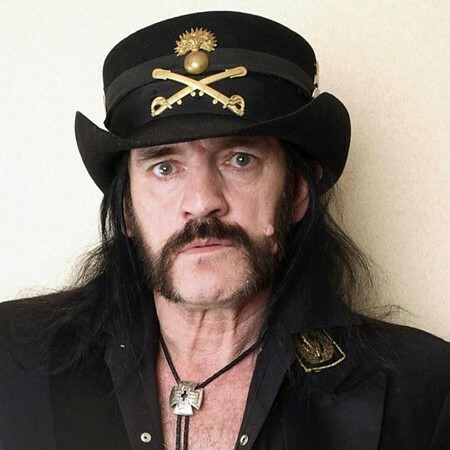 Lemmy may not have been a fashion icon, but he did own some pretty cool hats. This one is near and dear to my heart. Brian’s hat was to cover a receding hairline, but I had one just like it. It was perfect for keeping a tangled mess of hair under cover. Best of all, I could use it as a “hair mold”. I would comb my hair in the morning, tuck it under the hat to “set” it, and an hour later it would come out looking perfect! 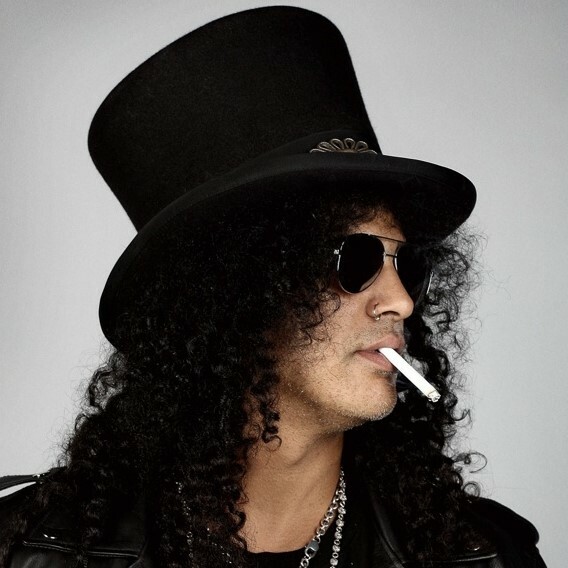 At LeBrain HQ, we think Slash’s hat has become the most iconic rock and roll piece of headgear. One look at that hat, and you automatically know who is underneath it. The fact that Slash hid his face behind curtains of hair meant that fans had to recognize him in other ways. That’s where the hat comes in! Even if you wouldn’t recognize Slash’s face in a crowd, it’s a guarantee that you know his hat. 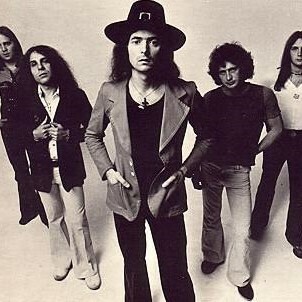 What are your favourite hats in rock?